The flock plots a course for Hollywood. Summer 2016. That's when you can expect to see the official Angry Birds movie, financed by creator Rovio Entertainment. What's more, the development studio just signed the film's producer, John Cohen. Who's that guy? He produced Illumination Entertainment/Universal Pictures' Despicable Me in 2010, then executive produced Illumination/Universal's Hop in 2011. He's also responsible for the Alvin and the Chipmunks reboot in 2007, and has ties to Ice Age, Robots, Ice Age: The Meltdown and Dr. Seuss' Horton Hears a Who. "John's an exceptionally talented producer, and we're delighted to have him join the flock," said Mikael Hed, CEO of Rovio Entertainment. "With John's hands-on producer background and David's expertise in establishing and running his own successful studio, these two are the dream team for making a movie outside the studio system. Both professionals have the ideal skills and vision to achieve incredible things." "I'm so excited and honored to be working on this film with Mikael, David, and Rovio's incredibly talented game developers and artists," said Cohen. "From both an entertainment and strategic perspective, Rovio is at the forefront of game innovation and is trailblazing terrific new ways for Angry Birds fans to interact with these characters. I've personally spent countless hours playing the Angry Birds games over the last few years, which I can now happily justify as research for the movie." 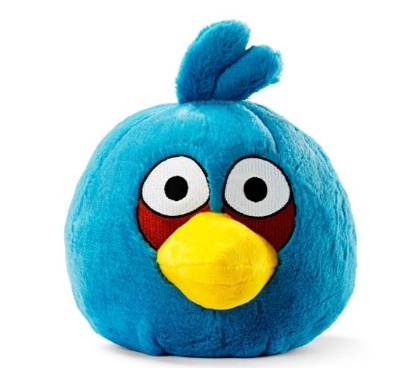 In addition, Rovio also revealed that David Maisel, former Chairman of Marvel Studios and executive producer of Iron Man, will serve as executive producer to the Angry Birds flick. "John's experience, expertise, and passion are perfect for the Angry Birds film and I look forward to working with him to create the best movie experience for all the fans," said David Maisel. Personally, we think a 2016 release date is risky, as the Angry Birds franchise could dip in popularity in three years, maybe less. For now, though, it's one of the biggest intellectual properties on the planet, and it will be interesting to see how the movie turns out.